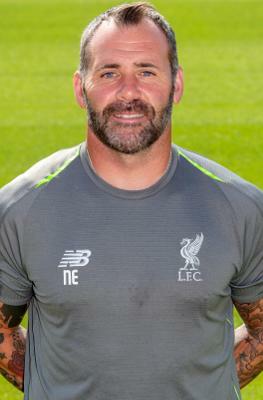 Neil Edwards is the goalkeeping coach for Liverpool's U18s. During an 18-year playing career, Neil represented Leeds, Stockport, Rochdale and Bury. He joined the Liverpool Academy after five years working at Bolton, where he was U18 head of goalkeeping coach, working with reserves and first-team players. His coaching career had begun at Carlisle United, where he was first-team coach as part of Neil McDonald's side. Neil was also Wales U17-19s goalkeeping coach for two years.